EU chief Jean-Claude Juncker said the bloc would not grant the UK another Brexit delay if MPs fail to agree to the divorce deal by the current deadline of April 12. Juncker's comments come after Prime Minister Theresa May said on Tuesday she would request a short extension up to May 22 and meet with opposition leader Jeremy Corbyn in a bid to break the parliamentary deadlock over Brexit. “The best way forward is the ratification of the Withdrawal Agreement,” European Commission President Juncker told MEPs. “The 12th of April is the ultimate deadline for approval of the Withdrawal Agreement by the House of Commons." Juncker also warned a no-deal next Friday is "now a very likely scenario", despite saying it was not the outcome he wanted, but one he said the EU is ready for. The United Kingdom will be affected more than the EU because there is no such thing as a "managed" or "negotiated" no-deal and there is no such thing as a "no-deal transition", he added. Juncker also made clear that should the UK crash out of the bloc with no-deal, the EU would set firm conditions for restarting talks with Britain on new trade ties. which would be conditional on the UK honouring its EU financial obligations, guaranteeing citizens’ rights and agreeing on how to run the sensitive Irish border. 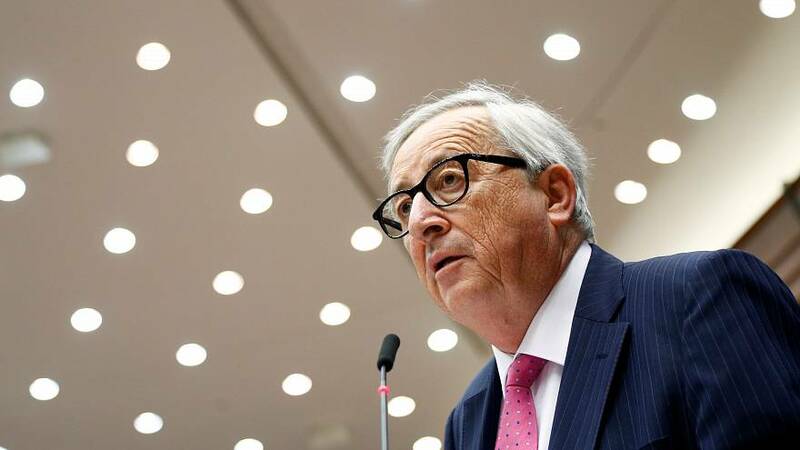 Juncker's comments come as the EU’s economic affairs and tax commissioner said the bloc would immediately introduce customs controls in the event of a no-deal Brexit. Moscovici elaborated that customs checks and import barriers would be introduced, which would mean individual travellers going from the UK to the EU would be limited to no more than 430 euros’ worth of goods and would not be allowed to bring in British animal products like cheese or meat. As for trade, Moscovici said EU companies doing business with the UK had to be ready for additional costs such as import duties on goods and bureaucracy as customs checks increased. Brussels has previously said that controls on animals and goods will need to take place on the land border between EU member Ireland and the British province of Northern Ireland. But both the UK and EU want to avoid a border infrastructure between Northern Ireland and Ireland out of fear it could wreck a peace agreement in the province. “We are working closely and intensively with Ireland to organise these checks in the least disruptive way possible, and as much as possible away from the border,” Muscovici said.